Here’s a clever bit of tech. 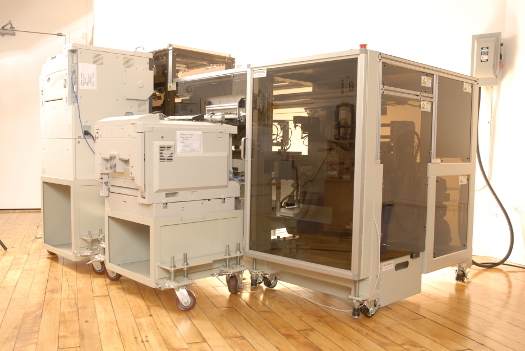 The Espresso Book Machine is able to print you a copy of one of several million different titles in just a few minutes, bound, with a color cover. Made by On Demand Books, the device has been around for some time, but I just happened across it in a news release from Bartell Drugs. Bartell is combining the Espresso with Kodak’s Picture Kiosks for a one stop shop that will give customers access to the Kodak photo books and the complete On Demand Books library. It really is a brilliant piece of tech, as it simplifies the entire book process. There is no shipping… no inventory… no pulping of unsold books… and it opens up the market for self-published authors in a way similar to what we have seen with things like Amazon’s Kindle store.